Note: P3 Filters are not supplied with mask. Purchase separately from the options above. Conforms to EN140 (Face piece), EN14387:2004 (Filter performance), EN143:200 (Filter performance). Special Safety Note: To ensure maximum protection and effectiveness all users of face fit masks such as our FFP3 Disposable and Force 8 Half Masks, must have clean shaven within eight (8) hours of starting to wear mask. Anyone who has a beard or stubble should use a powered air respirator such as our Jetstream Constructor unit. Comfort: Durable thermoplastic rubber mask for superior fit to most face shapes. Harness: Fully adjustable 4-point cradle suspension ensuring an effective facial fit. CR2™ Reflectivity: Reflective strips create increased visibility in low-light environments for added safety. Typhoon™ Exhalation Valve: Low resistance exhalation valve for easy breathing, with stable mask configuration. Force™ Filters: Cost effective Force™ 8 filters available with low profile angle for minimum visual impairment. How can you be sure that you have donned your mask correctly? With the new Force™ 8 PressToCheck™ filters, you can instantly check that you have the correct seal every time. 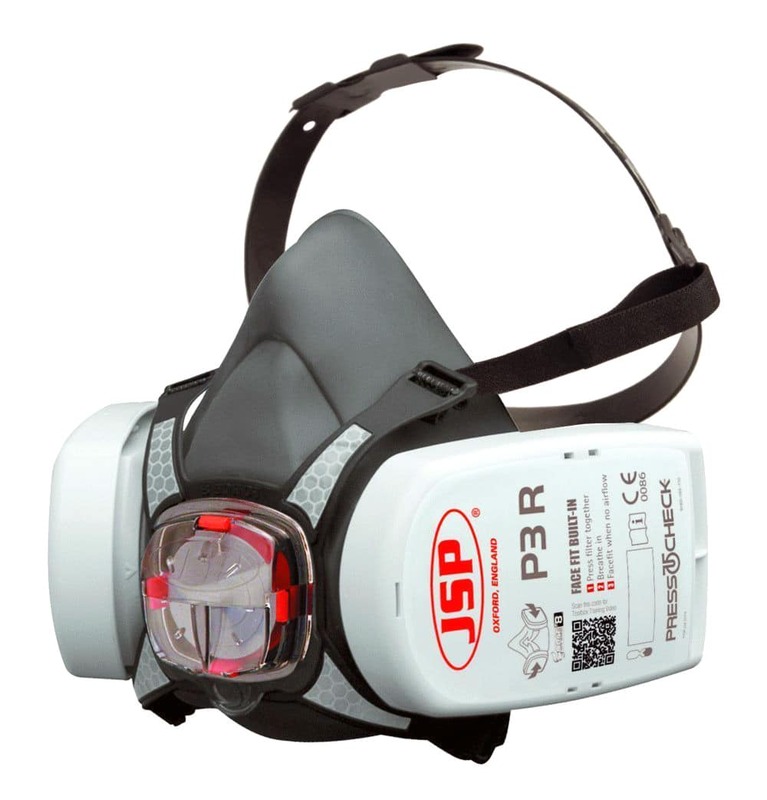 Don the Mask – Put the straps and harness over your head and pull the straps to a suitably tight and comfortable fit. PressToCheck™ – Press the front and backs of both filter covers together to stop air from entering through the filters. Inhale – No air should come through the mask. Adjust the mask and repeat until it doesn’t. Release when seal is made.